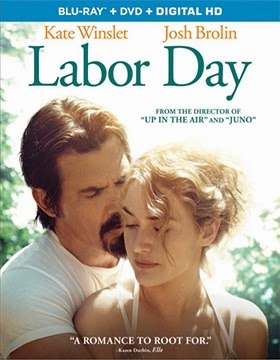 Paramount Home Media Distribution has added DVD and Blu-ray/DVD Combo Pack editions of writer/director Jason Reitman’s film adaptation of Joyce Maynard’s novel, Labor Day, to its Apr. 29 release calendar. The ARR is a quick-to-market 88 days and domestic ticket sales were $13.4 million. Labor Day is both an edge-of-your seat thriller and an unlikely tale of romance. 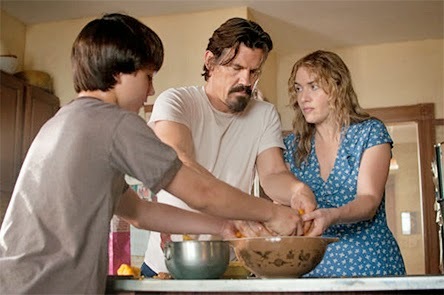 Reitman does an excellent job of ratcheting up the tension as we are drawn into this tale about two very “broken” people, Adele (Kate Winslet) and Frank (Josh Brolin), who meet under circumstances that can only be described as unusual. Indeed, what at first seems like a very dangerous situation turns out to be anything but that. As Labor Day unfolds you grow to care about the characters and become invested in the hope that nothing bad happens to them (the tension). Adele is a single mom with a 13 year-old son, and Frank is a scruffy-looking escaped convict who is doing a stint for murder ... she is depressed, agoraphobic and barely coping, while he, although guilty of the accidental death of his ex-wife, is not a murderer; not a danger at all. Injured and on the run, he talks Adele and her son, Henry (Gattlin Griffith — Changeling, The New Daughter, etc. ), into giving him a ride. Odd, but what develops is not the “stranger-danger” story that seems to be in the offing, but a few precious days of healing, tenderness, love and peace for these two needy people. Also added to the release schedule this week by Paramount Home Media Distribution are Blu-ray and DVD editions of the Anime saga, Legend Of Korra: Book Two: Spirits (available on July 1), Teenage Mutant Ninja Turtles: The Good, The Bad, The Casey Jones (also slated for a July 1 street date) and the June 24 DVD release of Unforgettable: The Second Season, starring Poppy Montgomery as a New City Police detective with an amazing gift. 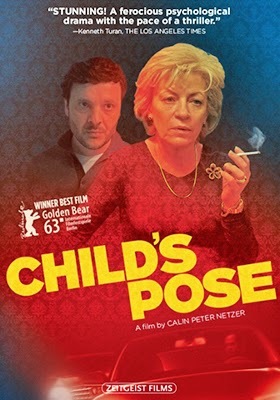 Zeitgeist Films has tabbed May 27 as the domestic DVD debut date for Romanian filmmaker Calin Peter Netzer’s award-winning film, Child’s Pose (the Golden Bear winner at the Berlin International Film Festival). The ARR is 95 days and ticket sales from the film’s limited arthouse run currently stand at $71,761. After World War II the British spawned a sub-category of dramas that were dubbed “Kitchen Sink Realism,” which were basically films about class distinctions — ordinary Brits fought the war and were now being asked (persuaded, shoved, pushed … pick one) into going back to the pre-war social order. These were angry films … they touched a nerve. The Romanians, in the wake of the fall of Soviet-style communism (and particularly after Nicolae Ceaușescu’s departure) seem to be developing their own sense of film, which some in the media have dubbed the Romanian New Wave. Class distinction — as with their Kitchen Sink cousins — plays a role, but with an interesting twist. Among some there is a desire for the social order and perks (and the certainty) that went with the all-powerful central state government of the past. If you were connected, things of consequence could simply be put aside. Netzer hits this class “warfare” hard with the introduction of Cornelia Keneres (Luminita Gheorghiu), a woman of wealth and connections, who works very hard at trying to control (dominate) her son, Barbu (Bogdan Dumitrache). He’s a slacker, born of privilege by Romanian standards (hint: Eurotrash), who lives off his mother’s largess, but does little to show his gratitude. She spies on him (by use of the cleaning lady) and can’t stand his latest choice in women, Carmen (Ilinca Goia), who, in her own way, is nearly as delusional as Barbu’s mother. With these introductions safely tucked away, Netzer launches into the core of the story with a drunken Barbu mowing down a young peasant with his car in some backwater town on the outskirts of Bucharest. Mom to the rescue, where you get hammered with the notion that if things were the way they were, this could be simply dealt with … a bribe here, a favor there and the “issue” would go away. It is frustrating for her that so much work has to go into fixing such a little thing. Corruption, while still there, just isn’t what it should be. It many ways, especially in the light of the Russian Bear stirring of late, Cornelia is something of a representation of someone being rooted in the past (the order of things). This desire seems to be once again growing in power, while her son — the future of Romania — counters with little to offer but depression, a sense of hopelessness and a metaphor for a generation that could be ripe for the picking. Child’s Pose is a provocative film, presented in Romanian with optional English subtitles and complete with bonus goodies that include deleted scenes and a making-of documentary. 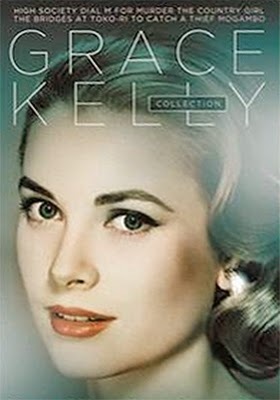 Warner Home Video announced this past week that July 29 will be the release date for the six-film Grace Kelly Collection on DVD. Included in the collection are: Director John Ford’s 1953 film release of Mogambo, starring Grace Kelly, Ava Gardner and Clark Gable; Alfred Hitchcock’s 1954 thriller teaming Grace Kelly with Ray Milland and Robert Cummings, Dial M for Murder; Bing Crosby and William Holden join her in The Country Girl (1954); William Holden, Mickey Rooney and Grace Kelly star in The Bridges at Toko-Ri (1954); Grace Kelly worked with filmmaker Alfred Hitchcock once again in the 1955 romantic crime thriller, To Catch a Thief (Cary Grant) and rounding out this six-disc collection is the 1956 musical, High Society, which found her opposite Frank Sinatra and Bing Crosby. Also added to the DVD release calendar this week are the Apr. 15 debut of Fay Wray’s 1940 crime thriller, Wildcat Bus; the Apr. 22 double-feature starring Ann Sothern, She's Got Everything (1937) and The Smartest Girl in Town (1936); Raquel Welch’s 1968 film comedy, The Biggest Bundle of Them All, makes its DVD debut on May 6 and the six-disc collection of How the West Was Won: The Complete Second Season will street on July 15. Mill Creek Entertainment has added two additional TV-on-DVD collections to its May 20 release calendar. 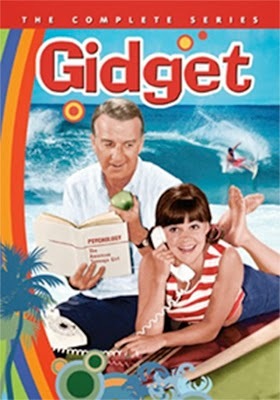 A three-disc collection of Gidget: The Complete Series, featuring all 32 episodes of the 1965/66 TV spinoff, starring Sally Field, is being made available for just $9.98. Also on May 20 is the double-disc presentation of Facts of Life: Season Two (also priced at just $9.98). Breaking Glass Pictures Tabs June 10 As The DVD Debut Date For Oy Vey! My Son Is Gay! Breaking Glass Pictures announced this past week that writer/director Evgeny Afineevsky’s award-winning comedy, Oy Vey! My Son is Gay!, will be making its DVD debut on June 10. The film worked the festival circuit during 2009 and 2010 and piled up win after win (Milan International Lesbian and Gay Film Festival, Philadelphia International Gay & Lesbian Film Festival, New York International Independent Film & Video Festival and more). A limited arthouse run followed — the ARR works out to 1,264 days and ticket sales were $89,507 — and then the film dropped, inexplicably, out of sight. Now, with Breaking Glass Pictures snapping it up (for well-timed reasons), fans can enjoy the film once again on DVD. 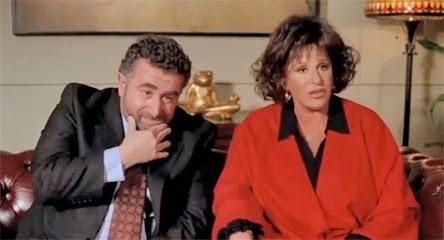 Oy Vey (woe), Shirley (Lainie Kazan) and Martin Hirsch (Saul Rubinek) have a problem, their son Nelson is gay! Of note, John Lloyd Young plays Nelson, he was the Tony Award-winner for Best Actor in a Musical for his performance as Frankie Valli in Jersey Boys in 2006. Auteur filmmaker Clint Eastwood’s film version of this stage musical, celebrating the music of Frankie Valli and the Four Seasons, will open theatrically on June 20. Thus, Breaking Glass Pictures is taking full advantage of the buzz surrounding the casting by Eastwood of Nelson as Valli in the film version ... the June 10 street date is perfect! OK, back to this comedy-of-errors … Rubinek and Kazan get to go full tilt as Jewish parents desperate to keep their son in the closet, but when that doesn’t work, they decide to invite his boyfriend (oy vey, not Jewish), Angelo (Jai Rodriguez) and his parents (Vincent Pastore and Shelly Burch) to dinner!!! Bonus features include outtakes and additional scenes, footage from the film’s Montreal premier, audience responses and opening animation. 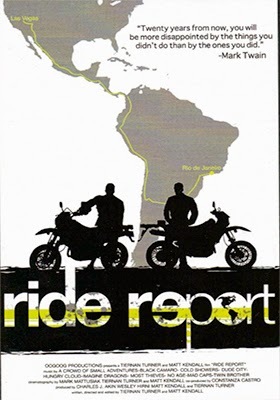 Cinema Libre announced this past week that documentary filmmakers Matt Kendall and Tiernan Turner’s Ride Report, a personal account of their 10,000-mile Central and South American adventure, will be available on DVD this coming June 10. The hardest part of their journey was getting out of Las Vegas, Nevada! Learning how to ride (and repair) their bikes was a new experience … one that was more “error than trial” at the beginning of their journey. The essence of their proposed road trip odyssey hinged on social media postings and couch surfing contacts. Could they journey from point to point to point with the help of total strangers … hosts that they would contact through the couchsurfing.org web site? The result? 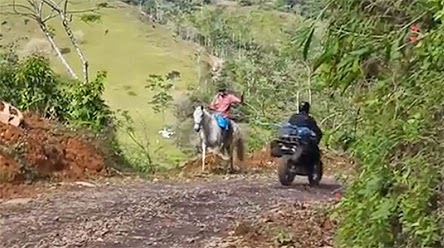 Ride Report details just how much the world is connected — even in seemingly remote and outwardly hostile places. The couch surfer universe passed the two adventurers from one point to the next and offered help, at times, that went well beyond their simple social contract. Countless hosts — helpful and full of experiences — were there to share their little corner of the world … all the way from Las Vegas, Nevada to Rio De Janeiro. Come join their journey on June 10 ... it's a great ride. 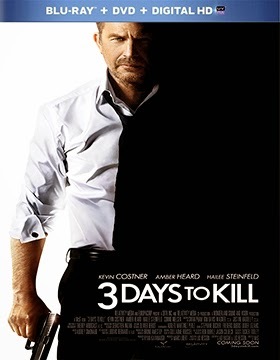 20th Century-Fox Home Entertainment has picked May 20 as the DVD and Blu-ray/DVD Combo Pack (with UltraViolet) release date for director McG’s 3 Days to Kill, starring Kevin Costner as an aging CIA operative given one last assignment … one that is literally a life or death job (in more ways than just the hunt and kill). The ARR is a very quick 88 days and domestic ticket sales currently stand at $30.2 million. No word just yet on bonus goodies included with 3 Days to Kill. 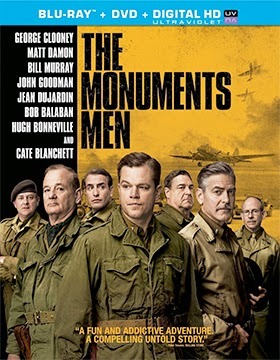 Despite a delay that took it out of the Christmas season (never a good sign), writer, director, producer and star George Clooney’s The Monuments Men — based on Robert M. Edsel’s book — ended up being a pretty decent theatrical hit. Sony Pictures Home Entertainment announced this past week that DVD and Blu-ray/DVD Combo Pack (with UltraViolet) editions will be available at retail on May 20. This based on actual events from WWII story pulled in $76.6 million at the box office at arrives in the home entertainment market place with an ARR of 102 days. Bonus features include two featurettes and deleted scenes.